The friendliness and charity of our countrymen can always be relied upon to relieve their fellow citizens in misfortune… Federal aid in such cases encourages the expectation of paternal care on the part of the Government and weakens the sturdiness of our national character, while it prevents the indulgence among our people of that kindly sentiment and conduct which strengthens the bonds of a common brotherhood. The stance that AARP has taken on this matter made me recall the quote at the top of this commentary. AARP’s attitude also made me recall a story about Davy Crockett, who was campaigning for re-election to Congress some time after he had voted to use taxpayer money to help citizens in Georgetown recover from a fire. As the story goes, Crockett approached a farmer who was plowing his field and asked for his support, but the farmer sternly refused, citing Crockett’s vote on the Georgetown fire. Crockett tried to defend himself by saying that a great and rich country should not shrink from spending a paltry $20,000 to relieve the suffering of women and children. It is not the amount, Colonel, that I complain of; it is the principle. The power of collecting and disbursing money at pleasure is the most dangerous power that can be entrusted to man. If you had the right to give anything, the amount was simply a matter of discretion with you, and you had as much right to give $20,000,000 as $20,000. If you have the right to give to one, you have the right to give to all; and as the Constitution neither defines charity nor stipulates the amount, you are at liberty to give to any and everything which you believe, or profess to believe, is a charity, and to any amount you may think proper. You will very easily perceive what a wide door this would open for fraud and corruption and favoritism, on the one hand, and for robbing the people on the other. No, Colonel, Congress has no right to give charity. Individual members may give as much of their own money as they please, but they have no right to touch a dollar of the public money for that purpose. Going back to the matter raised by AARP: Who is responsible for the underfunded pensions? Isn’t the situation due to financial mismanagement and sometimes even labor union corruption? Why should we taxpayers now be responsible for bailing them out? The bulk of us taxpayers have no pensions but, according to AARP, we should sacrifice for those who do! What’s up with that?! If a pension fund is underfunded by 50 percent, for example, then why not just cut the pension payout by 50 percent? That would still leave those workers and retirees with the bonus of a pension, in addition to Social Security, which is more than most of us have. If I take your money, I will be brought before a court for having committed a crime: theft. If I were to plead not guilty, because I used the money to subsidize my underfunded pension, nobody in their right mind would expect the judge to say, “Well, then you are free to go.” But let the government take your money for the same purpose and AARP cheers. Go figure that one out! In the end, the Joint Select Committee on Pensions will not be attempting to promote the general welfare, as cited in the Preamble to the Constitution. It will be considering an act of legal plunder. If AARP wants to help those pensioners, it should be calling on its members to make charitable donations to those pension plans. 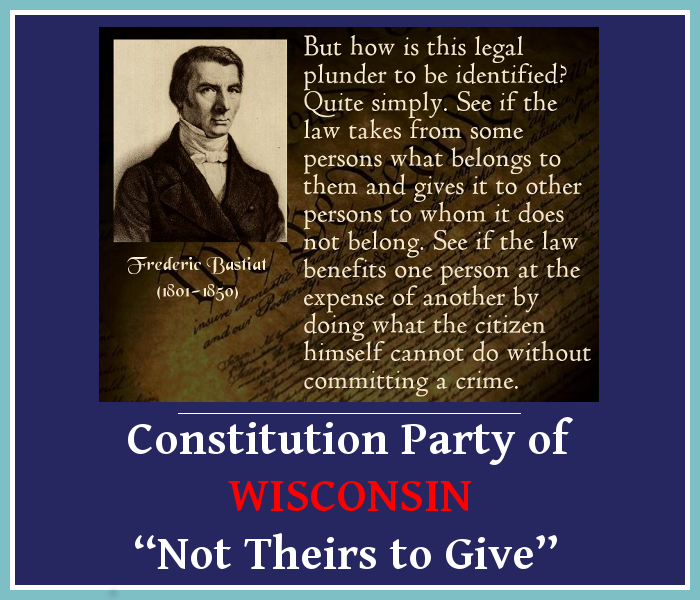 This article was written by Brian Farmer, a member of the Constitution Party of Wisconsin (CPoW) who also serves on the party’s State Committee. Brian Farmer grew up in Appleton, Wisconsin, where he attended Lawrence University, focused his studies on geology and German, and graduated with honors. He went on to earn a masters degree from the American Graduate School of International Management in Glendale, Arizona, where his studies centered on international trade and economics, finance, and money and banking. After working as a credit analyst in the international division of Manufacturers Hanover Trust Company in New York City, Brian accepted an offer of employment at King Abdulaziz International Airport in Jeddah, Saudi Arabia, where he spent sixteen years working in the finance and procurement departments. During that time, he also took advantage of the opportunity to travel extensively, making fifteen round-the-world excursions, and visiting dozens of countries. In addition to Saudi Arabia, Brian has also resided in Germany and Japan. In Tokyo, he met Mariko Furukawa, and they have been married since 2001. 2001 was also the year that Brian joined the research department of The John Birch Society, where he was employed until 2009. 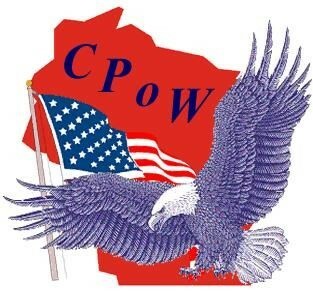 He now contributes to the Society’s magazine, The New American, and to the website of the Constitution Party of Wisconsin, as a free-lance writer. This article was previously published in The New American. Fully agree. Also noting AARP, tell your mother to better join AMAC, that does not support liberal/ socialist/ communnist/ progressive movements. I believe the membership benefits are the same if not better with AMAC.